COLIN Sieders has become accustomed to etching his name into the history books. The first time occurred in the most tragic of circumstances on a cold winter's day in July 1997. Sieders was just 15 when he was involved in a car accident while travelling near Blackheath in the Blue Mountains. He was a passenger in the back seat when the vehicle skidded, spinning out of control on black ice before slamming into a pole. The driver, his friend's mother, was killed instantly. Sieders was lucky to survive after being trapped in the wreckage for more than two hours, doctors from the CareFlight aero-medical service managing to keep him alive with an on-the-scene blood transfusion. "I set the world record for the most blood used at an accident," the 34-year-old recalls to Australian Regional Media, referring to the 15 units pumped into him, as well as 8.5 litres of saline fluid. As a result, attending doctor Rob Bartolacci and CareFlight medical director Alan Garner wrote a report printed in the Medical Journal of Australia. "After that they increased the amount of blood they carry on choppers and ambulances," Sieders says. Sieders would spend 88 days in intensive care, during which time his family endured a hell of their own as he battled for his life. "Mum and dad were told a lot of different things," Sieders explains. "It started with 'he's in a bad way, don't expect him to make it'. "Then 'he's most likely going to be a vegetable as he's lost so much blood it has probably caused some brain damage'. 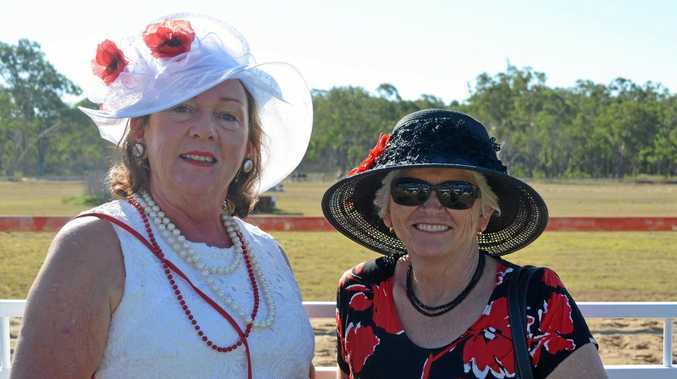 "Then, down the track, it was 'he won't be able to walk - he's had so much damage to his pelvis it's paralysed his left leg and his right leg isn't in great shape', as I had muscles removed that got infected. "But I proved them all wrong." Doctors hadn't counted on his incredible determination that came to the fore when he finally regained consciousness, being released after 51 weeks in hospital and eventually beginning intensive rehabilitation that lasted three years. "Learning to stand was tough. They had a special table that they strapped me to and each day they would tilt it up more and more until I was able to take the load through my joints. "But there were some great moments. A couple of years after I left hospital my grandfather, unfortunately, had a stroke and we ended up doing rehab together. We used to have races to see who could walk the fastest." That competitive nature was never too far away, and it would lead to his next history-making feat - a far more enjoyable one. 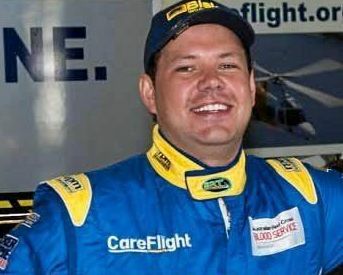 From a racing car family that owns Sieders Racing Team, he became the first permanently disabled driver to race in the Aussie Racing Car Super Series and the V8 Supercar Development Series. Having lost most of the strength in his left leg, Sieders drove with a hand clutch. "I remember after the first day it was all about just doing it and having fun, but that didn't last long. "Dad and I went to Wakefield Park and I tested there for three or four days before my first race." Colin Sieders in car racing gear. The odd victory would come, but not only in the classic 1940 Ford Coupe or Ford Falcon he would drive. Also getting behind the wheel of a big rig in 2011, he won his first and only truck race at Winton, Victoria. That was just before he would have to write another chapter in his remarkable life. Sieders suffered a second major road accident when a delivery truck ploughed into the vehicle he was driving. While not as serious as the first, it put him back in hospital and into a wheelchair. "It wasn't great as it affected my good leg, broke a small bone in my knee and tore a ligament in the knee, as well as compressing my hip, and that brought on the osteoarthritis pain that had built up after years of walking with a limp," he says. Of course, that wasn't about to stop him, but he did opt for a slight change of pace - and surface. As part of his recovery, Sieders was introduced to para-canoeing by personal trainer friend Sam Norton at the Penrith Whitewater Stadium. It was there he met Andrea King, the head coach of the Paralympics team. "We all jumped into boats and had a paddle. It was good fun and I haven't stopped," he says. 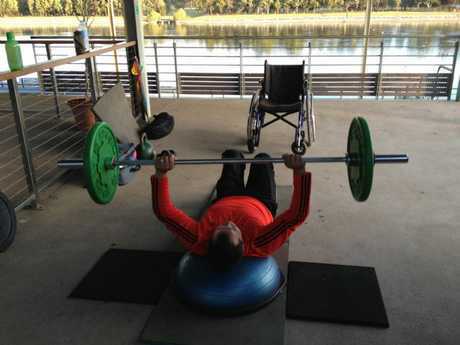 Sieders immediately set a course for Rio as part of the first Australian team to represent para-canoe in its debut at the Paralympics. Colin in training for his next big race ... on the water. "Sam and I had always talked about finding a sport that I could go to the Paralympics in, but it never seemed like a possibility as I was racing cars, just started a family and ran my own business, but then I started kayaking and once I started it was the goal straight away." 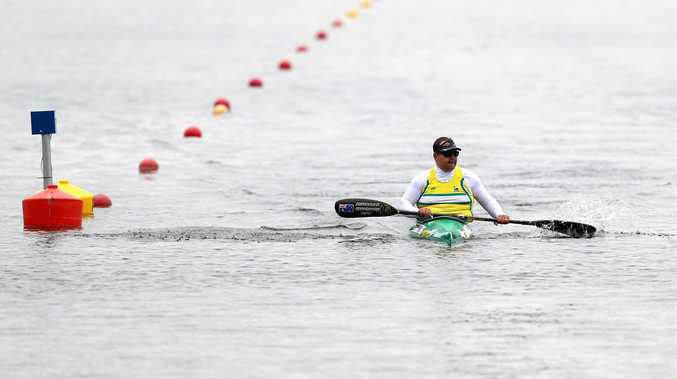 Classified as a KL1 paddler, with very limited or no leg function, Sieders fuelled the fire by finishing seventh in the K1 (single kayak) 200m final at the 2013 world titles in Duisburg, before claiming the Australian title in the same event in 2014. Two more national crowns would follow as well as the Oceania championship earlier this year in Adelaide, which guaranteed his ticket to Rio. "It's all been amazing," he says. "I've travelled the world doing something I love." Having spent time at team camps on the Gold Coast and in Italy prior to Rio, Sieders says it has been tough on his family - his wife Erin, two-year-old twins Phoenix and Violet and Rosie, 6 - back home in Sydney. But, it goes without saying, the competitive beast that is Sieders is in it to win it. "I've done everything I've ever set my mind to," he says. Still bearing the scars from that fateful day in 1997, Sieders certainly hasn't forgotten the work of those CareFlight doctors who allowed him to continue in his quest for fulfilment, becoming an ambassador for the organisation. "CareFlight is my hero so I will always help them where I can," he says.